Reviews for Oh. 's Albums, EPs & Singles — Oh. “Reviewing an eclectic artist such as OH., is a particularly daunting task, simply because she moves within an enormous contrast of genres. How do you pinpoint an artist that plays screaming lead guitar on epic, progressive rock, instrumental tracks like “Run Away”, the one moment, and then sings gentle, sublime, piano-driven ballads like “Love Will Heal”, the next? For OH, each title has a message that is little experience listening to the vibrations and sensations that dominate in each instrumental parts. The escape and open spaces in “Run Away” with rage “Rumpus” treachery and falsehood with “Subterfuge” the passage of time, and love for “Elegy,” the feeling of dissatisfaction of “Deception”, redemption and self-acceptance “Receiving”, “World of Warcraft” the conscience of a world without end, the call to life “Beckoning” and to close “Synemotion” the song that gives the name to this album, we passed through the whole range of our feelings. This album is an excellent surprise , the rock / progressive metal of OH., is original, inspired, technical, punctuated with amazing breaks. This almost completely instrumental album of nine songs (a few words and choirs in “Deception” and “Reception and OH narration in” Synemotion “) shows us an OH comfortable on her guitar, it’s simple, there is everything on this album: melody, rhythm, and yet more unstructured passages. Few technical demonstrations that could tire, short, concise pieces, impeccable virtuosity and sensitivity. You’ll understand this disc is a rock concentrate of Progressive metal as we love it. Take the time to listen and see this album is a bombshell to the world of guitar! Olivia Hadjiioannou is the multi-instrumentalist OH. This lady knows how to rock and shred on the six string and it does not stop there. She composes all of her work and plays bass, drums and keyboards and sings. 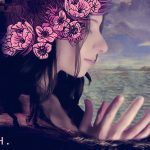 Synemotion is her second release. Sleeping World was her first release two years ago; I remember how it got my attention immediately. My expectations were sky high for the new release. I know I should not place expectations upon an artist but when you respect the artist and love what you heard the first time you ever listened it’s hard not to look forward to something new and exciting. OH was kind enough to send me the limited edition 2 LP set. There were 300 copies produced and only a few are left if you are interested in being one of the select people in the world to own this collectable slice of metal. I was expecting progressive metal but what I got was flat out metal tracks. While diverse and a showcase for the talent of this artist it simply did not sound progressive as I know it. It is however progressive in other ways such as what drove the artist to create the music in the first place, relating it all to the human condition and the choices we have. The artwork is eye catching to be sure and the LP set is beautifully packaged. Music is whatever you want it to be so listen and make your choice and or categorization. According to the artist the album Synemotion is a journey through the complex emotional states we experience when we are overwhelmed by concerns and fears. I like the premise on which this music was created and that means a lot to this listener. OH composes, performs, records and mixes all her tracks and does it all very well. Most of the tracks include very heavy fat power chords with sharper more pin point riffs sandwiched in between. Anyone that is into guitar virtuoso types of music will love this release. Some of the tracks I found exhilarating and others interesting but in the end an appreciation for the overall talent this artist brings to the table. You can count on some amazing six string runs throughout this listen. The title track “Synemotion” finalizes the album with OH’s voice narrating all of the words listed on the inside sleeve of the album. It is prolific and it can be a life changing message if you truly digest it and own it. I found it interesting that it ended the album rather than open it up. It makes you pay more attention to the music then decide what it all means at the end for you the listener. With the world’s population over seven billion, it’s a reasonable assumption that there must be a few million bands around the planet. Judging by what appears in my inbox, approximately 80% of them play progressive metal. And judging by what they sound like, the majority of them have the same guitarist. That guitarist is not Olivia Hadjiioannou. Although what she does could generally be called prog-metal and her playing does, in fact, shred, she’s got something of her own that sets her apart from legions of [insert your least favorite metal guitarist’s name here] clones. Not only that, but she handles all the other instruments herself, and does a bang-up job of it (sounding a far-cry from the sterile sound that most one-(wo)man bands end up with). Synemotion is mostly instrumental, with guitar being the dominant instrument; there are some good keyboard parts, mostly in a supporting role, and violin even shows up in a few places. Electronic sounds are woven into the fabric, though not obtrusively. There is occasional respite from the pounding rhythms, as on the first half of “Elegy,” where acoustic guitar and atmospheric electronics set a melancholy mood, and the title track, which sets a moody keyboard behind a spoken narration. And some of her lead guitar parts steer away from lightning runs and dive-bombing whammy bar to give us some freaky long tones with interesting effects. OH.,or Olivia Hadjiiouannou is a Greek multi-instrumentalist (acoustic and electric guitars, bass, drums, keyboard and vocals) and visual artist. Being the daughter of a Greek chemistry teacher and part time musician, and an American mother who is a writer and graphic artist, she had been exposed to arts and music all her life. She taught herself to play multiple instruments and how to record and produce music. Up to now, this has led her to this second album Synemotion, which is a concept that goes beyond the music. Synemotion is the word she coins for the ‘synesthesia of senses and feelings’ – the way the human spirit meets its highs and lows. OH. 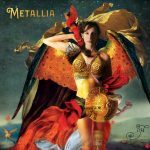 defines her music as progressive rock and metal – and listening to this album that is probably the best fitting moniker. The album, which is instrumental except for the title track, is filled with heavy riffing, melodic lead guitar and supporting layers of keyboard. All of these, as well as bass and drums, are played by Olivi a herself. Different feelings and emotions are expressed in her music, from the escapism in the opening track Run Away (with the final drums really sounding like running away), via anger and fear in the slightly faster Rumpus to nostalgia in the Elegy. The latter starts fittingly with a clean guitar and a relatively laid back lead guitar. Best build up for me personally is Deception, which has an acoustic intro, as the soothing voice of the deceiver, who shows his real face in the raw riffs at the end. All of this only makes sense if as a listener you are aware of what the album is about- on superficial listening, it is just another metal album, albeit very well played. Once you read the background of the album online, or the lyrics to the spoken word title track, the music gets a different meaning. That, combined with the videos that are being put online for various tracks ( Run Away and Synemotion itself) make this into a real multiple art package. “Out of Athens, Greece, comes a precocious young, creative, female multi-talented musician to add some spice into your record collection. OH (Olivia Hadjiioannou) recorded it herself and plays all the instruments, including drums, bass, keyboards, and vocals, but most notably brooding and evocative electric guitar on this record. Synemotion is a mostly instrumental progressive metal album, a concept record based on exploring the diverse emotional states humans experience when they are burdened by fear and worry. The gorgeously packaged double vinyl record is a worthy addition to any collection. The heavy music is powerful and explosive, and OH truly leads you on an emotional journey. Starting off with Run Away, the listener is transported by the driving instrumental into being reminded of why we withdraw into ourselves when we are in pain, shutting ourselves off from the loved ones around us. Rumpus continues that theme, a groovy rocking tune that really showcases OH’s chops as a guitarist. 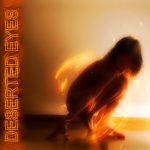 The next several tracks follow that lead, driving progressive instrumental music that follows an emotional roller coaster. The song Deception, one of my favorites, starts slowly with an acoustic guitar and hand drums, before blowing up into a powerful metal anthem, interspersed with strings and tight guitar riffage. All the songs are quite interesting, although the album is short – only 37 minutes long (and may have more conveniently fit on one vinyl record – but then again, double albums are cool!). Most hard rock instrumental music seems a bit naked without vocals, and this album has moments of that. However, the tracks are fairly short and the music diverse enough that they never devolve into the monotony that some instrumental albums plod under. That said, the title track packs the largest punch on the strength of the spoken word vocals. The song synchronizes the emotional journey into something tangible and accessible, and you get to hear a bit more of OH’s gorgeous voice which she highlighted in her 2013 debut, Sleeping World. When you know someone can sing, but yet they eschew that for the larger vision, which is to wring emotion out of the listener on the strength of the music alone, that takes courage and confidence. OH. or rather Olivia Hadjiioannou and for those who do not know her, it’s time to learn about the talented Miss Olivia. To give you a first impression: she’s a symphonic progressive rock singer / songwriter, composer, multi-instrumentalist, based in Athens and New York’s, Manhattan. In 2008, she won a scholarship for a sound system, then gathered and settled in New York. Early 2013 she released her first album titled, “Sleeping World”, which is influenced by and / refers to the economic crisis. That same year she participated in the international music competition, BEAT100 with the song “Trials” from this album. With about 20,000 views, the song received over 4000 votes and won first place. She returned this year with his second complete work: “Synemotion”. A progressive rock album with 10 for the most part instrumental pieces-. A album-journey through thoughts and feelings. Escape, anger, frustration, fear, longing, nostalgia, futility, disappointment, abandonment, awareness, irony … where the only words … are notes …and finally comes the title piece “Synemotion” to redeem it, give your hope again. Let me show you the way. The only piece on the album containing lyrics takes you by the hand and after having crossed the path from fear to hope, shows you how to move forward even if the wounds are such that they have disfigured your soul. When I first heard “Trials”, I was immediately impressed with Olivia’s voice. I then found for her full EP on Reverb Nation and became an instant fan! The 6 songs are filled with thoughtful musical passages, passionate vocals and all the skillfully performed music is by Olivia on her own… a one woman musical force! “The Art of music personified….literally. This EP is truly progressive and I say this without any caveat. I have listened to this 24 minute, six track composition many times and still have found no valid comparison to anything I am familiar with. It was a difficult process to deliberately put aside the fact the Olivia Hadjiioannou plays each instrument, is responsible for all vocals, composed and produced everything including the video. I did this so that I could focus on the music only. In so doing, I was able to finally write this review. The character and spirit of this remarkable young artist is evident in every moment of her debut EP. The vocals are so compelling and ethereal that they give me goosebumps. The emotion and raw talent that can be clearly heard throughout each and every track are unforgettable. This EP is very insightful. It brings to light the socioeconomic issues in Greece (and the world) and it’s rippling effect on the hopes and dreams of young people everywhere. It is presented in a compelling, yet tongue-in-cheek way. Some may find it too subtle to notice through the beauty of the music that there is a real message here. Perhaps as a sarcastic person myself… I quickly picked up on the political and social message contained within the magical music. It doesn’t come through as a diatribe and can easily be missed. Please consider taking the time to listen more than once and all the way through these six tracks. Understanding the meaning may not be terribly important to all listeners and that is a non issue. I do not prefer any music that forces a listener to swallow the artists “message”. I will not give examples to be polite to these artists; however, it is like a breath of fresh air to be able to enjoy this message whether you agree or not. The seriousness of the issues never intrudes on the beauty of the music. It is also so expressive emotionally that I have found it difficult not to go back to again and again. A track by track breakdown will not help anyone reading this so I will again remind you that you should use your “prog” heads… listen to it as a 24 minute piece as is normally expected for “prog” tracks instead of ignoring this debut based solely on the short length of each track. This is not pop, jazz, rock, blues or anything else, but OH. My dislike of pigeon holing is obvious. I believe it’s unfortunate that the industry still requires it. Whether it be for marketing or reviewing purposes. “It is time to take down the walls around our hearts and minds”… is what I hear in the music and the soul behind it. 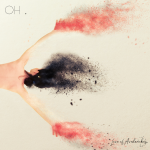 I am actually much more hopeful about the future of music and society thanks to OH’s EP. I am so rarely uplifted and truly moved by music that I feel that I have received a gift that will stay with me forever. As a musician and fan of music I feel obligated to discuss my opinions in that regard as well. It is apparent to me that OH has mastered each sound that you hear. Each tracks’ individual tracks are easy for a musical ear to separate in their head and from that perspective I can assure you that it is completely flawless. The vocal range and quality, the enchanting and varying guitar techniques, the fantastic rhythms and melodic bass riffs combine to make each track a musical journey. The use of 4/4 time proves to me that random time signature changes and funny noises are not what makes music progressive. “Prog” as it is labeled and thought of today has unfortunately become a desire to copy instead of to truly progress. Almost every “prog” artist wants to be the next [insert artist here], yet claims to be progressive. Even their own press is presented in a hypocritical and phony way ie: ‘so and so’s’ new CD is the best new prog album/artist ever … and in the same breath …. they are the next ‘such and such’ artist/group. According to her Facebook page OH (that’s Olivia Hadjiioannu in fact) is an alternative indie rock singer-songwriter, composer and multi-instrumentalist who lives in both Athens, Greece and New York City. An indie artist that took the word “indie(independent)” to its hyperbole, she is self-taught in Logic Pro and guitar, bass, piano and violin. She performed, recorded, mixed and mastered the six tracks for her debut EP – Sleeping World and also produced and filmed her own music video clip, Trials in her studio.” She’s obviously a very talented young lady and this is very much evidenced throughout Sleeping World. I first discovered this brilliantly talented Greek musician “OH” on one of my websites called Power of Prog. I was immediately drawn into her video Trials which is the opening track from her debut EP “Sleeping World”. Like a moth to a flame I was drawn in with her hauntingly beautiful voice and the epic sound of the music. I needed to know more… wanted to hear more. Fortunately, I discovered her bandcamp page where I seemed play her album over and over, no such thing as too much with this unbelievably talented musician. According to her bio she spends time between her home in Athens, Greece and New York obviously this provides her with a rich tapestry to add to her magical musical style. I contacted Olivia immediately to let her know how much I thoroughly enjoyed her music and to find out more about her and her music. As it turns out “OH” is not a band at all it’s a one woman phenomenon. Olivia not only sings but also plays all the instruments on the EP as well as handling production and mixing duties. Let me tell you this is not an easy task for even the best and brightest but Olivia pulls it off like a well seasoned veteran. 24 minutes is enough to understand that here we deal with a very talented individual, who not only composes and performs all her music by herself, but also arranges all aspects and produces the final result in a very professional manner. The statement is pretty clear: aSleeping World that needs to wake up before it’s too late. The EP boasts of pure feelings and dynamism, projecting at the same time the enthusiasm of a young artist and the maturity of an accomplished composer with clear goals. Sleeping World, although immersed in a pool of generally accessible and mainstream pop prog music, displays moods of anger, rebellion and a sense of change, within the relatively simple but emotionally strong lyrics. The biggest assets in this EP are Olivia’s diverse voice, who seems able to sing in any style, and the very careful and polished mixing and general production of the album, which in itself is a skill and lifts off Olivia’s compositions. Although constantly maintaining a mainstream character, the music itself ranges from pop (Trials, Forget It), to heavy electro rock, blends elements of symphonic prog, metal and ethnic among others! Comparisons have been made to Kate Bush and Tori Amos, but there is so much here that can be said about influences: I can hear the pop side of Paradise Lost (opening track) and Florence and the Machine at the same time, Mandylion-era The Gathering (Banned by the Deep) and all the beauty of symphonic prog in the simple, yet moving, I am the Pleasure, dominated by acoustic guitars. Add to the above the very smart use of violin, which is spot on and adds an element of grandeur to the project, and you end up with a very promising result. “Writing, arranging and producing everything herself, Olivia Hadjiioannou displays an enviable array of talents on this EP entitled “Sleeping World”. It doesn’t stop there, as she also provides vocals and plays all the instruments: guitar, bass and violin to name a few. You could be forgiven for thinking that stretching across so many facets would invariably lead to a weak point; it doesn’t. This is a terrific EP and hopefully the first of many releases from this artist. Thematically the EP revolves around some of the struggles of modern life in our rapidly changing society. Olivia delivers the lyrics in a range of styles, from soulful and moody to strident and at times raw and unrestrained. And when she cranks it up, it’s verging on spine tingling. In terms of instrumentation, there’s beautiful acoustic guitar and some great heavier riffing, and a smattering of smokin’ lead as well. There’s also a few catchy synth hooks, such as the one featured in “Have You Ever”, which is probably my favourite track. On this song Olivia ramps it up with some chugging distorted guitar and those amazing vocals. This is definitely one of the proggier tracks and also features some interesting percussion to add some flavour. “This female, multi-instrumentalist from Greece has quite impressed me. Her debut EP “Sleeping World” is impressive from the start just because she wrote it, plays everything, sings, and produced it. She did it all herself, and so that is out of the ordinary. However, the neat thing is: This EP is quite good. The artist, Olivia, has a great voice that she is not afraid to use in unconventional ways. She does things I never thought I’d hear a female vocalist do. On the other hand, the guitars have bite, the drumming is proggy, and the keys create a great ambiance and atmosphere. On top of that, there are wonderful melodies and some rather original song structures that I found tantalizing. This is a great prog album—no doubt about that. Not only does she do everything, she does everything WELL. Dommage pour eux. Cet EP possède en effet des tas de qualité. Tout d’abord, sa production est irréprochable, son relief sonore limpide et aérien et son mixage professionnel et résolument moderne (“Have You Ever”, aux faux airs de Within Temptation). Bon, mais la production n’est jamais que l’habillage de la musique. Un Mat Pokora bien produit restera un Mat Pokora…. Les six compositions gravées sur “Sleeping World” ont donc aussi à leur actif une cohésion irréprochable (le très dépressif “Banned By The Deep”, superbement mis en musique), de bons techniciens (bien que nullement démonstratifs) et une recherche mélodique réelle – et bien oui, une mélodie peut être accessible et recherchée, n’en déplaise aux puristes (le magnifique “Non-Exhistent Myth”). Enfin, et par-dessus tout, OH possède un charme inexplicable qui défit l’analyse et dont par exemple le dernier Queensrÿche (celui de Geoff Tate, on s’y perd) est parfaitement dépourvu : c’est la fraicheur et la sincérité. Au fait, et si c’était l’essentiel? This young Greek artist, whose real name is Olivia Hadjiioannou, divides her time between her native country and the States. Her first self-produced EP, entitled “Sleeping World”, gives us 35 minutes of music that dives into the roots of melancholy rock and symphonic progressive metal for an eclectic and tender production whose entity serves the superb voice of the beautiful lady (whose timbre sometimes evokes those of Sharon Den Adel or Anneke Van Giesbergen). That said, search not for feverish experimentation or complex emphasis (except perhaps the introduction of the magnificent opening “Trials” title), and walk on your way, amateurs of classifying bursts, of hair-raising technical demonstrations, of grandiose lyricism. For Olivia, I tell you, is an honest, unpretentious artist. The petulant and snobs alike may find the melodies too accessible and the arrangements conventional. Too bad for them. This EP actually has many characteristics. First, the production is impeccable, its sound relief is transparent and thin as air and the mixing are professional and decisively modern (“Have You Ever” reminiscent of Within Temptation). Good, but the production is never just “dressing of the music”. A well produced Matt Pokora, remains Matt Pokora… The six compositions engraved on “Sleeping World” have to their credit an impeccable cohesion (the very depressing “Banned By The Deep”, beautifully set to the music), good technicals (although by no means demonstrative) and real melodic exploration – and yes, a melody can be approached and explored, no offense to purists (the magnificent “Not Existent Myth”). Η progressive rock/metal καλλιτέχνης ΟΗ. παρουσιάζει δύο singles τα “Runaway” και “Synemotion” από το επερχόμενο βινύλιο και ψηφιακό της άλμπουμ “SYNEMOTION”, το οποίο θα βγει στις 24 Απριλίου 2015. Τα singles και οι προ-παραγγελίες για την ψηφιακή λήψη του άλμπουμ, καθώς και την περιορισμένη έκδοση του διπλού βινυλίου, είναι διαθέσιμα τώρα στο iTunes και στο Bandcamp. Το δεύτερο άλμπουμ της OH είναι ένα ταξίδι στο progressive metal, με σκληρά κιθαριστικά riff, έμψυχες ακουστικές, μελωδικά σόλο και ένα συναισθηματικά εμπλεκόμενο ομώνυμο κομμάτι Synemotion. Το SYNEMOTION είναι ένα ταξίδι μέσα στις σύνθετες συναισθηματικές καταστάσεις που βιώνουμε όταν έχουμε κυριευτεί από ανησυχία και φόβο. Αισθήματα φυγής στο τραγούδι “Run Away”, θυμού και ματαιότητας στο “Rumpus”- να δειλιάσεις και να κρυφτείς στο “Subterfuge”- λαχτάρας και νοσταλγίας στο “Elegy”, και το βίωμα της απογοήτευσης και της παραίτησης στο τραγούδι “Deception”. Τέλος, το να τα αφήνεις όλα και να δέχεσαι το συναίσθημα στο “Reception” και η επίγνωση και αίσθηση της ειρωνίας γνωρίζοντας ότι όλα θα ξαναρχίσουν πάλι στο “World of Warcraft”.